I’ll never forget first using Adrian Holovaty’s ChicagoCrime.org and realizing that emerging technologies had the promise of democratizing data. The site was amazing. It was among the web’s first map-based mashups, required only basic web literacy to use, and yet exposed deep and complex data. It turned police activity data collected for administration and policymaking into interactive information that empowered anyone to better understand the world around them. This spirit of democratizing data is at the core of some of the most exciting things happening in the food tech space. From making healthier decisions to discovering deals to discovering dishes and recipes to assessing food safety, a slew of exciting startups are working to develop food data into engaging consumer applications – hacking the food system. There is a ton of opportunity in newly available government data, crowdsourcing data, and recent advancements in data mining tech. Mix in the soon-to-be ubiquitous smartphone and the power of HTML5, and you have a recipe for an entirely new food data industry. The roots of this new industry go back to the 1980s, when Information Resources Inc. (IRI) pioneered using technology to collect data on consumer packaged goods and consumers. IRI would inspire a slew of CPG data companies and transform the grocery industry. But, for more than 20 years, CPG and other food-related data would remain inaccessible to all but large corporations. Barriers of connectivity, processing power, design, and data analysis tools prevented individuals as well as small and medium sized businesses from using food data to make smarter decisions. Foodzy and FoodontheTable empower users to track and plan their meals to save money and make healthier choices. Forkly, Chewsy, and (my own company) Food Genius are connecting consumers to restaurants around specific dishes whileNess and Alfred are developing new ways to discover restaurants. While these companies focus on solving different problems in different ways, all of them exploit data to help consumers and businesses make better decisions. 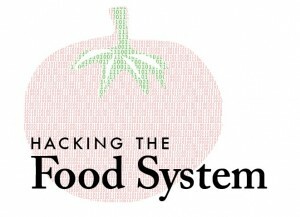 It’s an exciting time to be hacking the food system. Justin Massa’s work centers around new technologies, open data, and food. He is the founder and CEO of Food Genius, an app that helps you discover and share your next favorite dish. 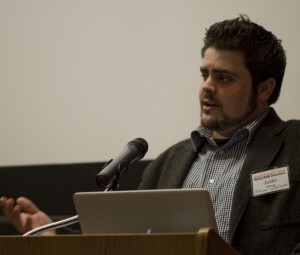 Previously, Justin was the Director of Project and Grant Development at the Metro Chicago Information Center and a the co-founder and executive director of MoveSmart.org, an organization that connects housing seekers to neighborhoods of opportunity and diversity. 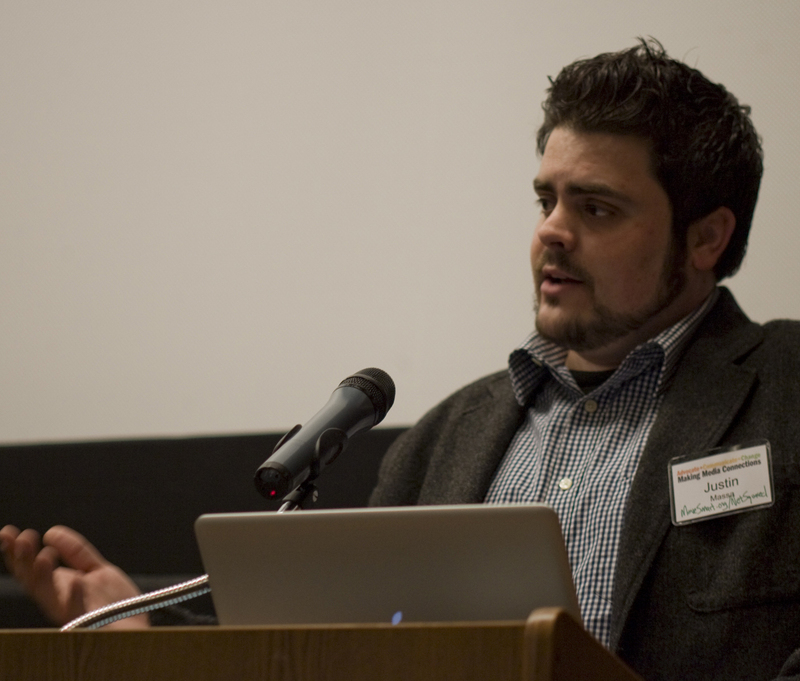 From the spring of 2009 through February 2010 Justin was the Program and Technical Coordinator at NetSquared, where he managed internal communication and helped run innovation competitions. In 2009, he was named one of the “35 Under 35″ emerging civil rights leaders in Chicago by the Community Renewal Society. You can find him online at www.justinmassa.com or on twitter @justinmassa.